The custom printed Sandwich Peak Visor is perfect for those who prefer a sun smart alternative to a baseball cap. With a low minimum order quantity, bulk discounts and express deliveries we will make your promotional visor our highest priority. Not everyone likes wearing caps, but on a hot day, you just really need that shade to reduce the glare from the sun. If you need the shade, but at the same time want to keep your head breathing, then have a look at our custom Sandwich Peak Visor. It’s a great alternative to wearing a cap. It gives you the protection from the glare just like baseball caps do, but unlike your conventional caps, its top part is exposed allowing your head to breathe. It’s sleek, simple, and it gets the job done! We can make our custom printed Sandwich Peak Visor according to how your prefer. Send us your design and we can make it happen. Want your decoration printed? We can do up to seven colours. Want them embroidered? Stitching options are from five thousand to twelve thousand stitches. Just let us know how you like them and we can work it. 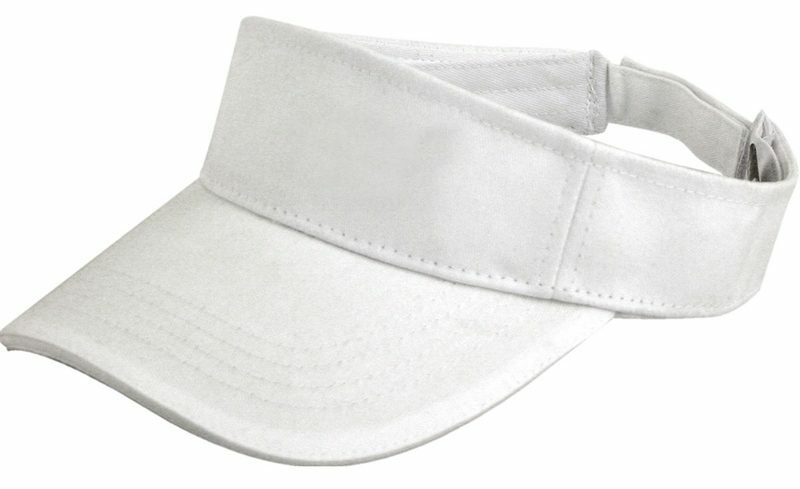 You won’t have to worry about sizes since the promotional Sandwich Peak Visors are offered with crossover velcro strips. This means that all visors are adjustable and will easily and comfortably fit anyone. 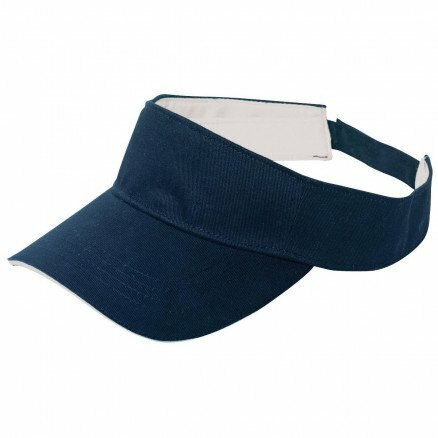 Because this style of personalised Sandwich Peak Visor is offered in navy/white and white/white, it can match most colour of outfits whether it’s your company uniform, event shirt, or even just your everyday team gear. Alternatively, if you want something that gives 360-degree protection, have a look at our range of customised bucket hats or our event sun hats. Hats for the little ones? We also have a cool range of branded Kids Hats so go check them out. Our entire website has loads to offer so feel free to explore and see which ones you like best. 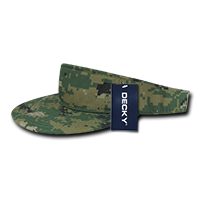 Be the Most Valued Player on the team with our branded Sandwich Peak Visor. 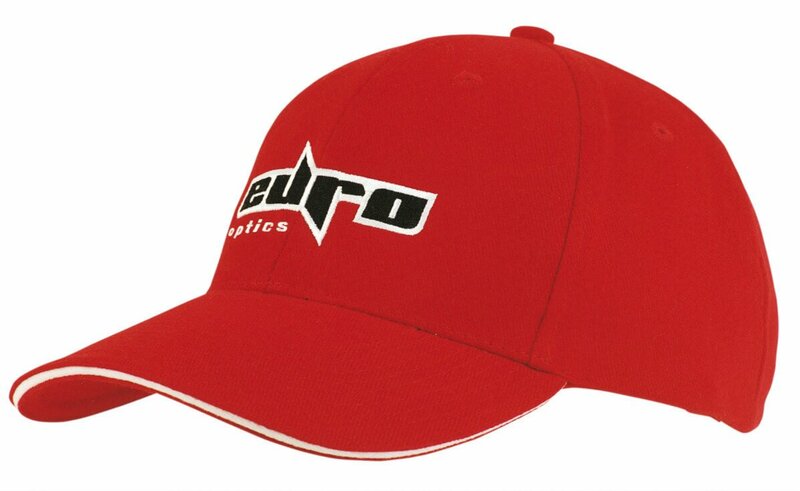 This headwear makes an excellent choice for your competitions and sporting events. Keep team morale up with our cheery M&Ms 100 Gram Pillow Pack. Alternatively, try our selection of customizable confectioneries and treats. Anytime you’re ready, you can give us a call on 1300 008 300. We can also do live chat if that’s what you prefer. So go ahead and hit us up. Our Customer Care team are always excited to assist you.